Poetry Quarterly | A celebration of poetry. Never miss another submission opportunity! Opt into our submission calls list and receive an email each time a new reading window starts. You can opt out at any time. Everyone loves Poetry Quarterly’s beautiful paperbacks. Our online issues are packed with the same poetry! Subscribers receive access to all our past publications. We hold nothing back! Consider subscribing to PQ online today for just $20/Year! Poetry Quarterly hosts an annual poetry contest named after Rebecca Lard, a female poet known for submitting often, and the first known female poet in Indiana. Judging is performed using a blind reading process. Submissions are open to everyone. If you enter any contest this year, make it this one! Previous issues of Poetry Quarterly are available in paperback from our bookstore. Enjoy some of the finest poetry available today, and in the process you will be supporting poets from all over the world. We are proud to Introduce another stunning collection of poetry. 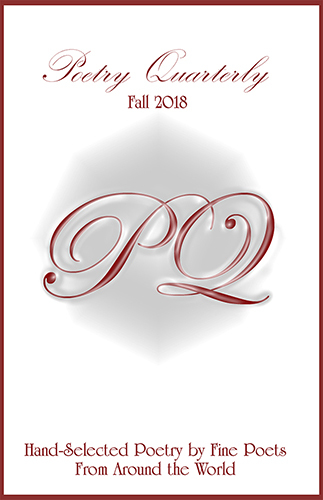 Poetry Quarterly showcases the finest poetry from around the world! This new, stunning collection of poetry features poems by: Adam Sprague, Alan Meyrowitz, Bruce Levine, Carolyn Martin, Cathleen Stewart, Chelsea Hansen, Claire Scott, Clark Zlotchew, Daniel Birnbaum, David Lander, David Pring-Mill, David Ritchie, Dean Miller, DL Pravda, Douglas Taylor, Duane Anderson, Elizabeth Spragins, Ellyana Gomez, J.R. Dawson, Jack Donahue, Janelle Holgado, Jesse Thompson, Joan Leotta, Joan McNerney, Jody Larson, John Elliott, Joshua Allen, Julie A. Dickson, Julie Weiss, Karen Poppy, Katherine DeCoste, Layla Lenhardt, Len Carber, Lianne Kamp, Linda Imbler, Linda Sacco, M. E. Murray, Marcus Benjamin Ray Bradley, Maria DePaul, Mary Gunn, Melanie Sevcenko, Michael Estabrook, Michael Flanagan, Michael Gessner, Michelle Hartman, Mirana Comstock, Nells Wasilewski, Nels Hanson, Patricia Rossi, Paul Bluestein, Raemia Escott, Reg Murray, Robert Baldwin, Robert Hale, Ron Scully, Roxanne Bogart, Roy A. Barnes, Samantha Pilecki, Sara Wenger, Stephen Gretzer, Suzanne Cottrell, Sydney McQuoid, Thomas M. McDade, Tim Gavin, Tim Heerdink, Tim Robbins, and William Kofoed. Rebecca Lard Award Winner 2018, David Anthony Sam! David Anthony Sam was born and spent his childhood in McKeesport PA, a coal and steel suburb of Pittsburgh. His home at the end of 36th Street abutted a woods, and the games he played on that street and the time he spent in those woods all influenced his poetry as well as his sense of the holistic ecology of all things. His neighborhood was filled with immigrants and children of immigrants, and his grandparents themselves came from Poland and Syria. 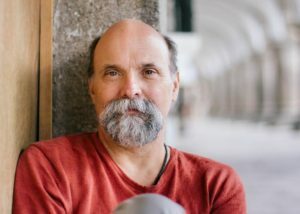 Five of his collections are in print: Memories in Clay, Dreams of Wolves (2014), Dark Land, White Light (1974, 2014), Early in the Day (2015) , Finite to Fail: Poems After Dickinson (2017) and Final Inventory (Prolific Press 2018). His poems have appeared in over 80 journals and he was the featured writer in Light: A Journal of Photography and Poetry (2017) and The Hurricane Review (Spring 2016) which included 36 of his poems. Sam’s collection, A Night over Bones, received Honorable Mention in the 2016 Homebound Poetry Contest. Sam’s collection Finite to Fail: Poems After Dickinson was awarded grand prize in the 2016 GFT Press Chapbook Contest (2017). *Rebecca Lard Award Winner 2017, Suzanne Cottrell! Suzanne Cottrell, a member of the NC Poetry Society and NC Writers’ Network, lives with her husband and three rescue dogs in Granville County, NC. 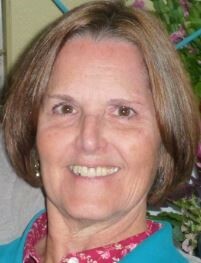 An outdoor enthusiast and retired teacher, she enjoys reading, writing, knitting, hiking, and Pilates. She loves nature and its sensory stimuli and particularly enjoys writing and experimenting with poetry and flash fiction. Her poetry has appeared in numerous journals and anthologies, including North Carolina’s Best Emerging Poets, Poetry Quarterly, Tanka Journal, The Avocet, The Remembered Arts Journal, Plum Tree Tavern, Burningword Literary Journal, and Naturewriting. *Honorable mentions include Deborah L. Davitt and Lianne Kamp. Poetry Quarterly’s mission is to support poets and poetry by maintaining a professional venue for education and publication. We don’t give preferential treatment to poets based on popularity or past accomplishments. We are accessible to all writers who love poetry for the sake of the form and message. We pledge to only publish what we find most worthy. We never charge poets anything to be published, and we never demean the integrity of the form by including advertisements in our products or on our website. Poetry Quarterly proceeds with a focus on modern poetic style (we rarely publish rhyme). We accept submissions of all subject matter, and frequently support poets through our “featured poet” showcase. We publish beautiful issues in paperback, and e-issues for our subscribers online. We reward our poets with a free online subscription and small cash payments. We reward our readers by being highly selective and passionate about everything we print. Guest editors are accepted periodically. Our guest editors oversee the selections of a single issue, and are responsible for soliciting a portion of the poems. The Rebecca Lard Award is occasionally picked by a guest judge. Judging is typically performed by our editor. We collaborate with poets to produce special features. Representative poets include Sam Cornish and Laura Kasischke. 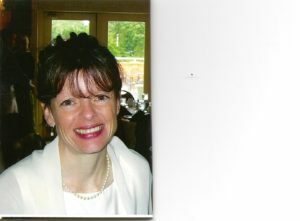 Patricia Rossi is a writer, freelance artist, and an attorney. Her essays and poetry have been featured in literary journals, major newspapers, and magazines including Haiku Journal, Three Line Poetry, Tanka Journal, Inwood Indiana, Poetry Quarterly, Dual Coast Magazine, Newsday, New Living, and South Bay. She is a regular contributor to Prolific Press. Patricia Rossi has received two pushcart prize nominations for her poetry in 2015 and 2016, and has written and presented academic papers at major university conferences. One of her articles was selected for inclusion in the 2016 Cambridge Scholars academic publication, The 1930’s: The Reality and the Promise. Another of Patricia’s academic papers was featured in New York Magazine. Rossi is the proud recipient of numerous NYS individual artist grants. Her funded proposals have included the creation and implementation of art appreciation and creative writing classes specifically for children and adults residing in under-served communities on Long Island, as well as writing workshops exclusively for women. Her writing workshops also extend to cancer survivors, as a therapeutic means of healing as well as grief therapy for parents who have lost a child. She volunteers weekly at Literacy Nassau, where she serves as a writing club instructor for developmentally disabled adults. She also mentors a writing program for patients at a NYC hospital. Scott Ruescher is the author of the 2009 chapbook Sidewalk Tectonics, which took the reader on a road-trip from Abe Lincoln’s birthplace to the site of Martin Luther King Junior’s assassination in Memphis, and of a new one, Perfect Memory, published in the fall of 2015 by Finishing Line Press, that features poems set in Central Ohio, Central America, Central Square (in Cambridge, MA), and Spain. 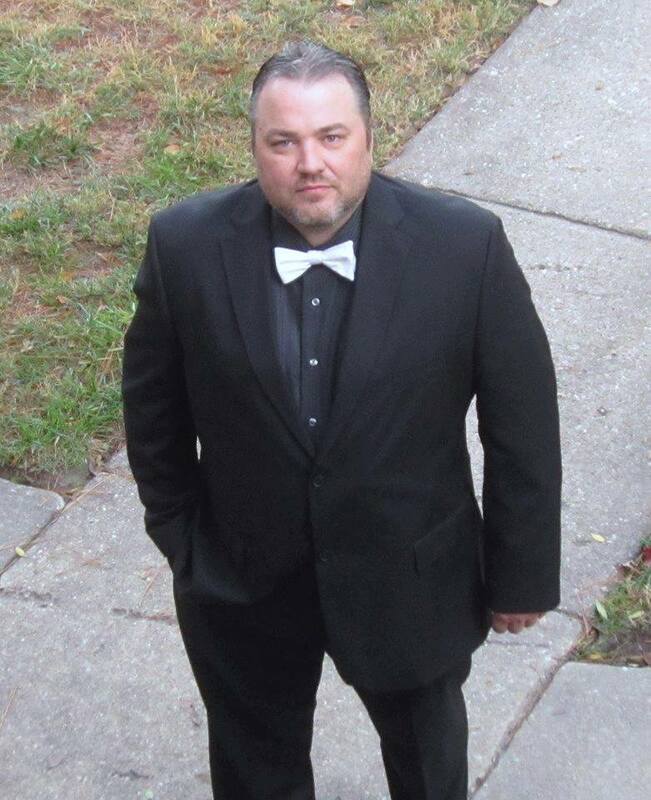 He has published poems in recent issues of Agni Online, The Tower Journal, The Hiram Poetry Review, Chautauqua, The Dalhousie Review, Boston Hassle, In My Bed, The Common Ground Review, Zymbol, The Evening Street Review, The Harvard Educational Review, and Poetry Quarterly! Ruescher is the winner of the Erika Mumford Prize from the New England Poetry Club, in both 2013 and 2014, for poetry about travel and international culture. He administrates the Arts in Education program at the Harvard Graduate School of Education and teaches English part-time in the Boston University Prison Education Program. 2015 Rebecca Lard Award Winner: Scott Ruescher! 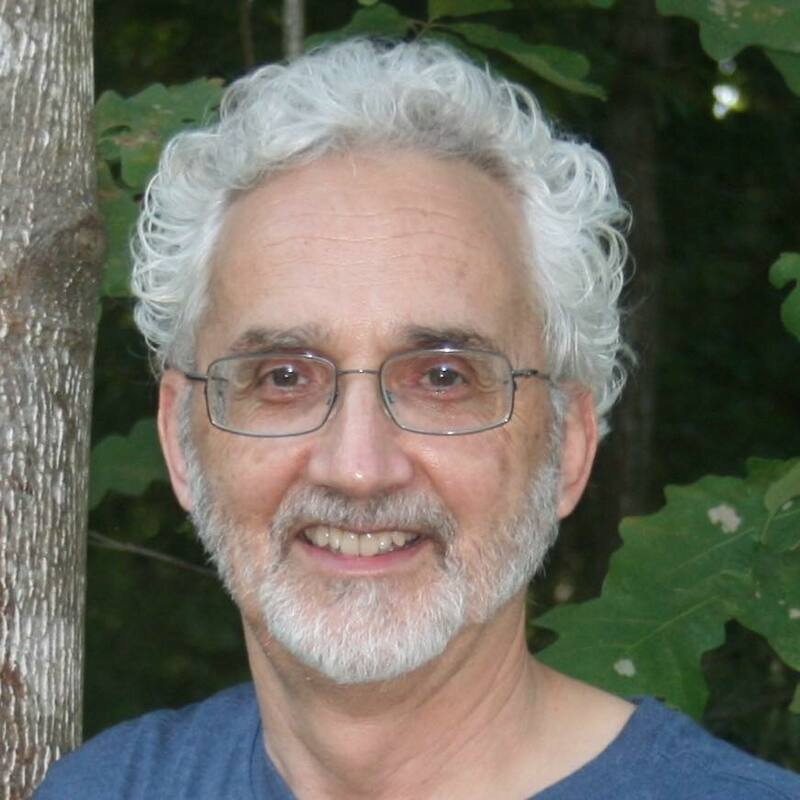 Glenn Lyvers is an American writer and editor living in Johnstown, PA. His poetry biography can be found at Poets and Writers Magazine. Lyvers maintains a professional bio on LinkedIn. He is a firm supporter of small fledgling presses. His works have been published internationally, including works in Calliope Nerve, Camroc Press Review, Chronogram, Clockwise Cat, Contrary, Danse Macabre, East Coast Literary Review, Everyday Poets Magazine, Everyday Weirdness, Flutter Poetry Journal, Leaves of Ink, Mad Swirl, Red River Review, San Pedro River Review, Sentinel Literary Quarterly, Shoots and Vines, The Blue Hour, The Houston Literary Review, The Legendary, The Stray Branch, Undertow Tanka Review, Verse-Virtual, Wilderness House Literary Review, Word Catalyst Magazine, and elsewhere.